I (Steph) have a bad habit of starting a recipe before I read it the whole way through. 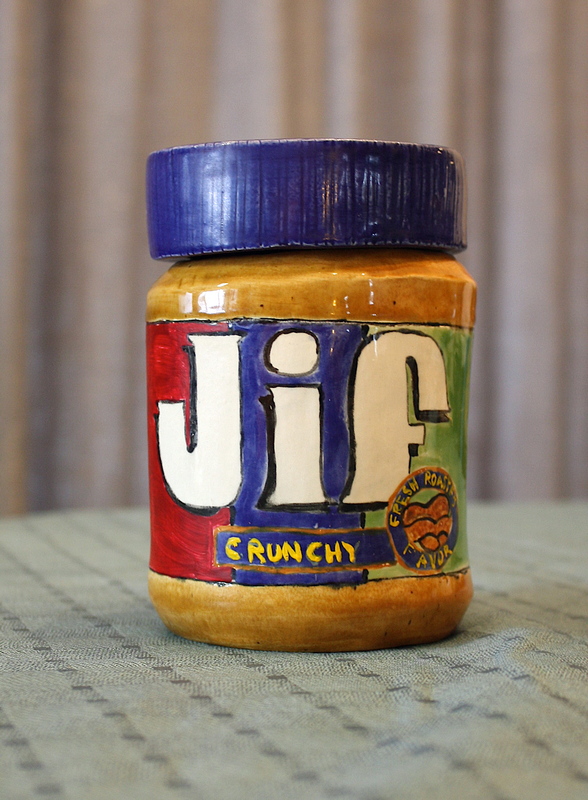 I read the ingredients, make sure I’ve got ’em all, and then skim glance at the directions, and then dive on in. Most of the time, this isn’t a problem, but there have been a few times where I didn’t realize something needed to be chilled, or I didn’t realize how many steps were involved. they didn’t have a doughnut pan. I had finally convinced myself that I could really do without a doughnut pan, until I saw Ashley’s recipe. OH MY GOODNESS. I almost fell out of my chair when I saw the masterpiece she created in her doughnut pan. Ok, maybe I didn’t, but peanut butter + marshmallow donuts? DROOOOOL! I used to take a fluffernutter sandwich to school EVERY DAY when I was in elementary school. How could I NOT make these? Ashley posted her recipe right around the same time as MamaPea’s book was coming out, which I knew I wanted to order. So, on to Amazon I went and added Peas & Thank You to my cart. And then I added Carrots N Cake. 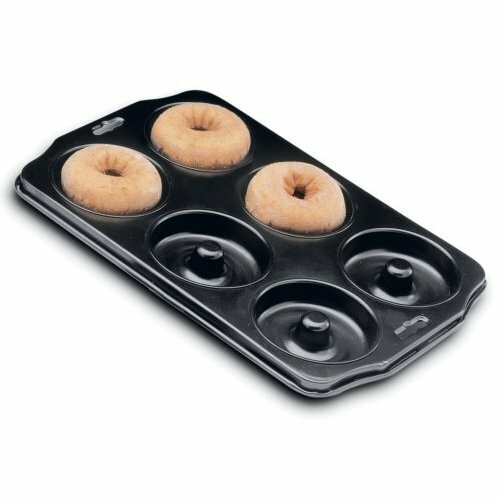 And then, since I needed to spend a few extra dollars for free shipping, why not throw in a doughnut pan too? I decided that this weekend I’d make the doughnuts, since I knew they took a little bit of time, and I had all Saturday free, I figured it was the perfect opportunity. My boyfriend also happened to be flying in on Sunday, so wouldn’t I be the sweetest girlfriend ever if I greeted him with some fresh, homemade sweet potato doughnuts? So, I got to work on Saturday morning, prepping the batter so it had time to rise. I timed my morning so that I could make the dough before I went to the gym, let it rise for an hour, and then bake ’em when I got home. So, I returned from the gym, to continue working on my donuts, only to realize that 1) They needed to rise again and 2) I didn’t need a doughnut pan in the first place! I was supposed to cut out circles with a cookie cutter, not pour the dough in the pan. 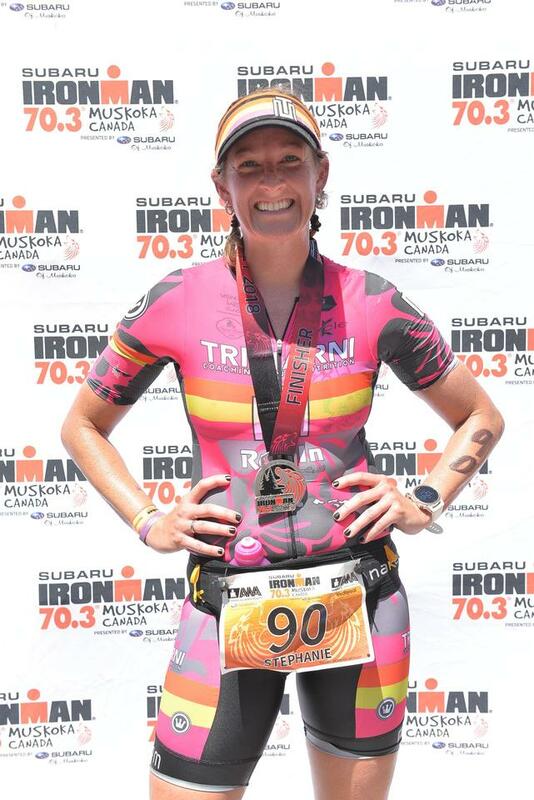 Way to go Steph. I pressed on, and waited yet another hour for the donuts to rise before putting them in the oven. I followed the baking instructions, but I let them cook too long, and they started to burn 😦 They also didn’t exactly turn out the way I envisioned them to-I was thinking they’d be like a dense cakey doughnut. Unfortunately, they turned out more like a dry cakey cookie. 😦 They taste fine, but I definitely didn’t get the doughnut experience I was hoping for. Fail. 1) READ THE ENTIRE RECIPE FIRST! This is like rule #1 in cooking, and I always break it. Must. Stop. Doing. This. 2) The recipe calls for bread flour, but I used all-purpose. I think this mistake contributed to the final consistency of the doughnuts. Need to purchase bread flour. 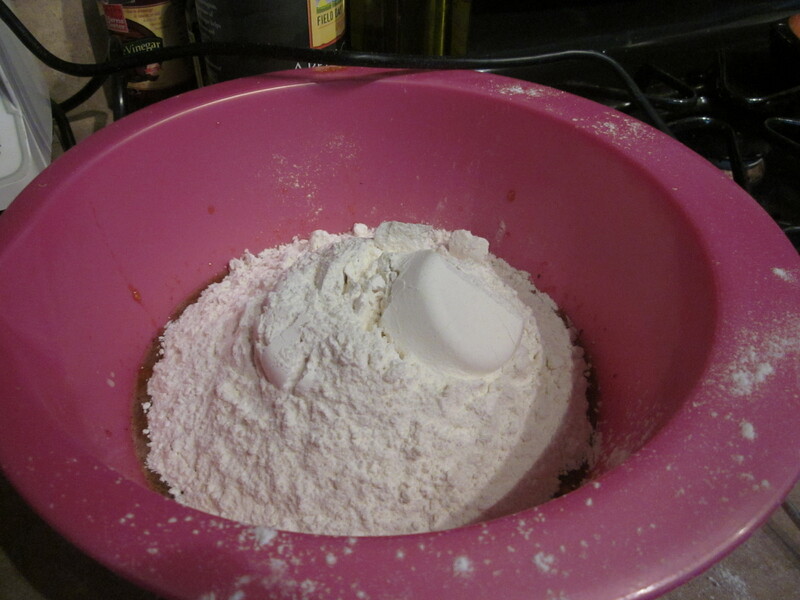 3) The recipe also required the use of a dough hook to mix the dough. I kneaded it for a little bit, but definitely not the 5 minutes that the recipe called for (I had a spin class to get to!). I need to do what the recipe says. 4) Learn more about yeast and flours and how the different kinds of flours affect the way the final product turns out. Allie did some research and wrote up a few posts about it. I think I need to reread those posts. Anyhow, here’s the recipe, from Food & Wine Magazine. Good luck! MAKE THE DOUGHNUTS: Prick the sweet potato all over with a fork and cook it in a microwave at high power for 10 minutes, until tender. Let cool, then peel and puree the sweet potato; you should have about 1 cup. MEANWHILE, MAKE THE TOPPING: In a small bowl, combine the sugar and cinnamon. 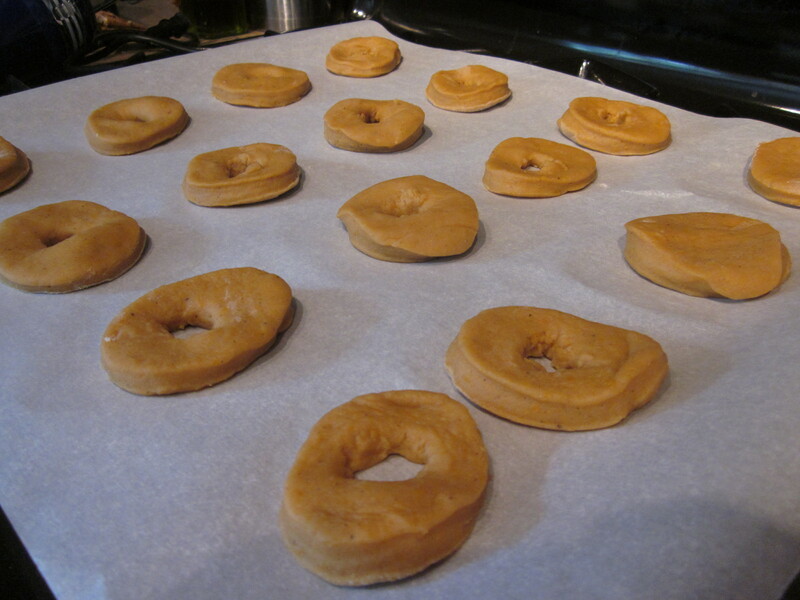 Put half of the hot doughnuts in a large bowl and drizzle with some of the melted butter; toss and turn to coat. 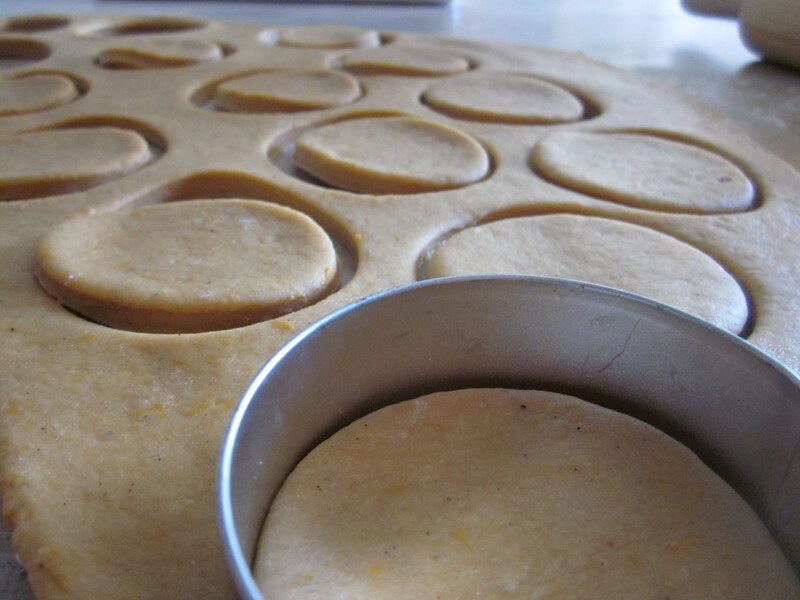 Sprinkle with some of the cinnamon sugar and toss and turn until evenly coated. 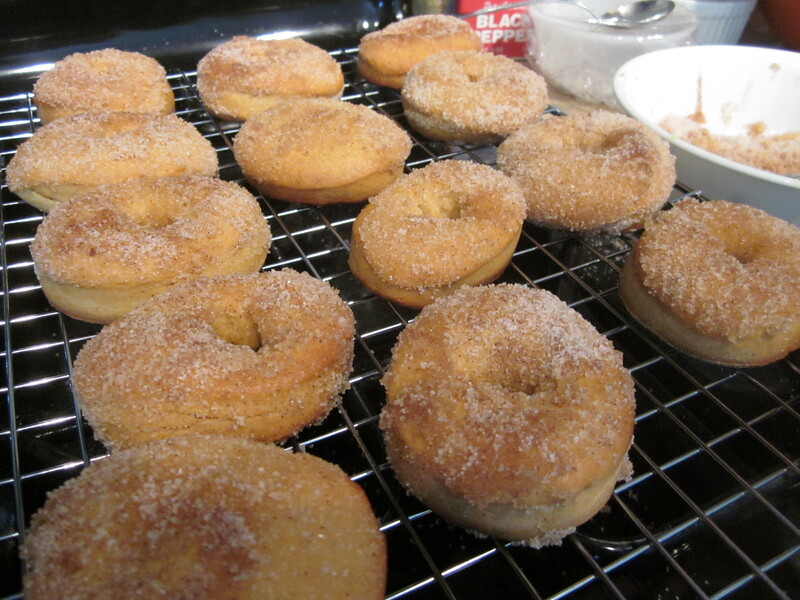 Repeat with the remaining doughnuts, butter and cinnamon sugar. Transfer the doughnuts to a platter; serve. 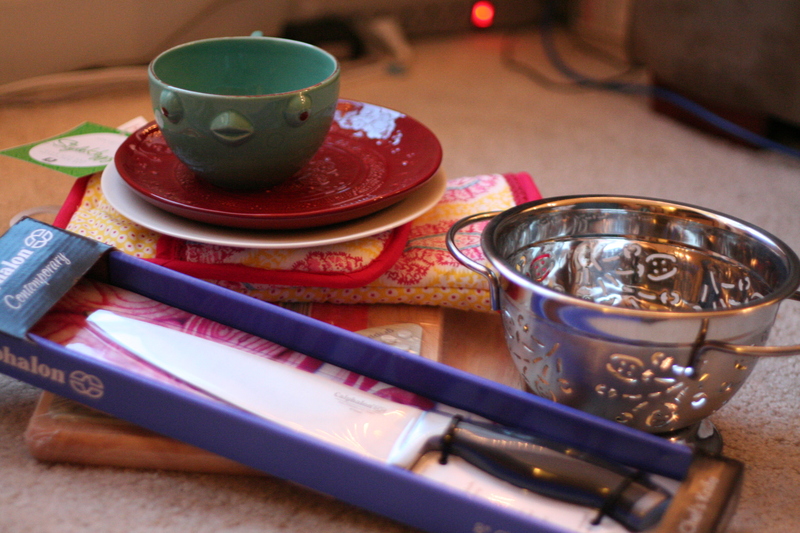 Question of the day: Have you ever started a recipe before knowing exactly what you got into? What happened? OR What’s your favorite kind of doughnut? I guiltily admit, I often start making a recipe before reading it through the end 😛 Oh well, you live and learn, right?! I’d still eat your donuts, they look good to me! I am super guilty of consistently thinking I can ‘cheat’ the recipe by cutting out some steps (“That isn’t totally necessary, right?”), esp. when baking, which requires a lot more patience than I have sometimes! Hence why I stick to NOT baking very often! But I am learning to embrace the baking/exact recipe process more. Curious if you liked the flavor? I LOVE sweet potatoes; I may have to procure one of these donuts somewhere! It’s that “Exact” part of baking that gets me! I used to be super precise when I followed recipes, but now, as I experiment on my own, that has carried over into my baking. Bad idea. But, YES< the flavor was DELICIOUS! I LOVE sweet potatoes; The sweet potato + cinnamon reminds me that fall is just around the corner! Oh I have done that heaps of times especially with things that need to be marinated over night!!! Normally I am really good at reading the whole recipe through but some times I miss a few points! Those donuts looks scrummy! I thought most donuts were deep fried? YES! I konw exactly what you are talking about with the whole marinating thing. I sometimes say, well, 15 minutes is sufficient, right? NOT! The donuts were delicious! 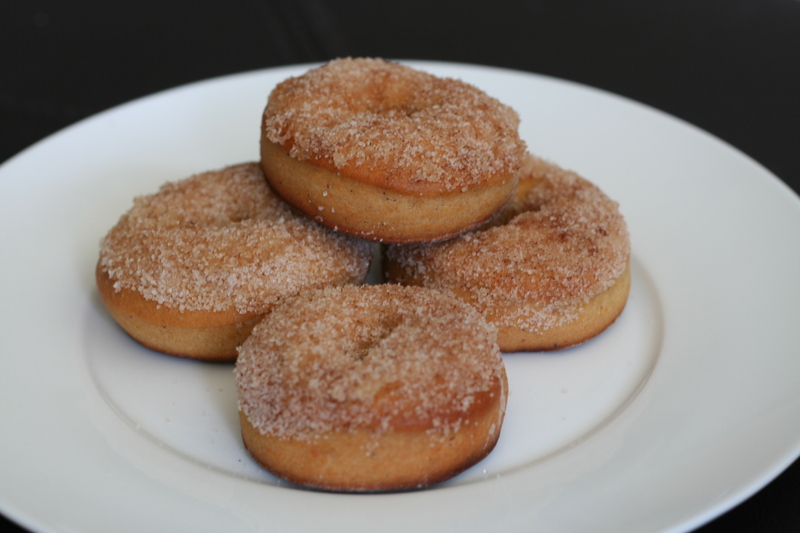 I think a lot of donuts are deep fried, but the cake ones are baked:-) So, a little healthier maybe! What? You are supposed to read the entire recipe? I always figured they were merely “guidelines” not step by step rules. If you ever end up in Los Angeles, there is a neat diner http://nickeldiner.com/dinner-menu.htm that’s their link. They specialize in making the most bizarre and unique doughnuts. ooh I’ll have to try it!